Surface Go is available to purchase: the most portable and affordable Surface product yet. Many of us play different roles throughout the day, moving from work or school to home and everywhere in between. Our team designs every Surface to adapt to that dynamic lifestyle, to strike a balance between performance and versatility, form and function. Our products don't do just one thing because people don't do just one thing. We pioneered categories like the 2:1 to provide the mobility of a tablet with the performance of a laptop, inspiring new ways of creating. As you pursue your passions, connect with friends and family, and work with your team, the products you're able to take on the go with you are the ones that can keep up with the huge range of things you want to accomplish. This is true whether you're a parent and a product-maker like me or a student and amateur photographer like my daughter. That's the idea behind the design of Surface Go – our smallest, lightest, and most affordable Surface yet. When we designed this device, we had to ask ourselves what people want and need from a 10" Surface. The answers seem obvious – lightweight, productive, and accessible to more people. I'm pumped to introduce you to Surface Go, because it's all those things, and so much more. 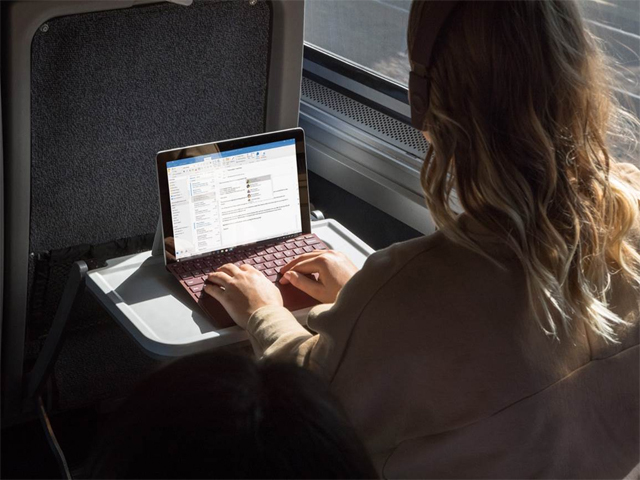 The power and connectivity in a device this small gives you the style and productivity Surface is known for in a more convenient package. At just 1.15 pounds (just over 520 grams) and 8.3 mm thin, Surface Go packs portable performance into a 10" device. 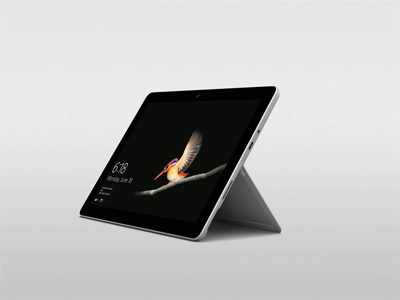 Starting at AUD$599 RRP, it represents a new entry point for the Surface family, while keeping the premium qualities that have come to define it. Surface Go offers a stunning, custom built high-resolution PixelSense Display that supports Surface Pen with 4096 levels of pressure sensitivity, low pen parallax, low latency, and precision for accurate note taking, drawing, and computer aided design. The custom calibrated 3:2 display is soft on your eyes while you're working and vibrantly high-contrast when you want to watch videos, create art, or edit photos. Since my two youngest daughters have started using Surface Go, I see them watching movies, reading, and drawing on it every day. It's the perfect device for them. And for me, whether I'm at home, in the office, or on a plane, putting my Surface Pen on the screen and letting my thoughts flow is a necessary step in my creative process. It's how I work. It's so easy to carry Surface Go with me so I can capture those moments, instantly. Surface Go also has the ports you need, including Surface Connect for charging and docking; USB-C 3.1 for data, video, and charging; a headphone jack; and a MicroSD card reader for storage expansion. All designed to help you be more productive whether you're studying in a library, working on a plane, or sharing your content in a boardroom on a 4K monitor. Surface Go with Wi-Fi has officially hit shelves in Australia and New Zealand starting from today. We're also happy to share that an LTE model will be arriving later this year.